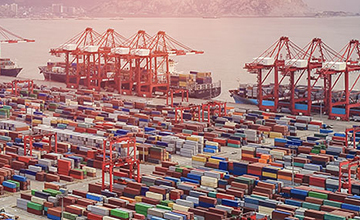 ETL offers global brands a full scope of supply chain solutions starting from the point of manufacturing in the Far East and Americas until the point of delivery to the final consumer in 49 countries within ETL Logistics Reach. ETL offers a broad range of services for different type of product categories within the fashion and lifestyle sectors, ranging from clothing to shoes, accessories to personal gadgets. ETL offers dedicated Fashion and Lifestyle logistics services that cut across different section of users. ETL Logistics offers fashion industry a global reach using a combination of air, sea, road and multimodal transport modes. A full line of transport services for both shipments in boxes or garments on hangers(GOH) is available for customers looking to source products from global markets or customers looking to sell their products around the world. ETL also offers customers fast fashion Transport Management services, making it possible for brands to deploy products for sale much faster than a normal transport process. Service speed types such as normal, express, flash and air-sea options are available for customers to design the speed at which they expect to run their supply chain. ETL Logistics manages over 6 fashion and lifestyle products dedicated warehouses with a storage space of over 350.000 sqm’s (4 million SQF’s) offering solutions under general and customs bonded environments. ETL manages the product flow of over 20 global and local customers in fashion industry looking to deliver their products across the world. 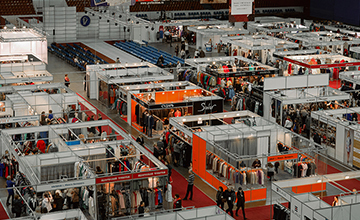 ETL offers full-service capabilities to its customers in the fashion industry from its hubs utilizing all necessary automated and sorting Technologies to run an efficient and cost efficient operation. On top of its full scope service capabilities within the nation, ETL Logistics also supports its customers with consolidation and forward stock holding services in major countries within the Far East and Americas. ETL Logistics offers some of the best practices in the market for companies looking to develop their on-line presence as well as already active e-commerce companies. ETL is a leading service provider when it comes to delivering customer products to High Street stores and Shopping Malls across Nigeria. 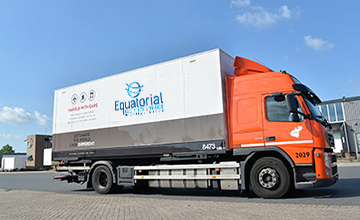 Running a specially designed transport Management system for delivery planning as well as managing a Nigerian wide distribution network of its own, also with a partial ownership in the leading world fashion distribution network for garments on hangers, ETL is one of the very few logistics service providers capable of managing the delivery of products to retail shops throughout Africa.